The United States Postal Service has been the bastion of physical mail. 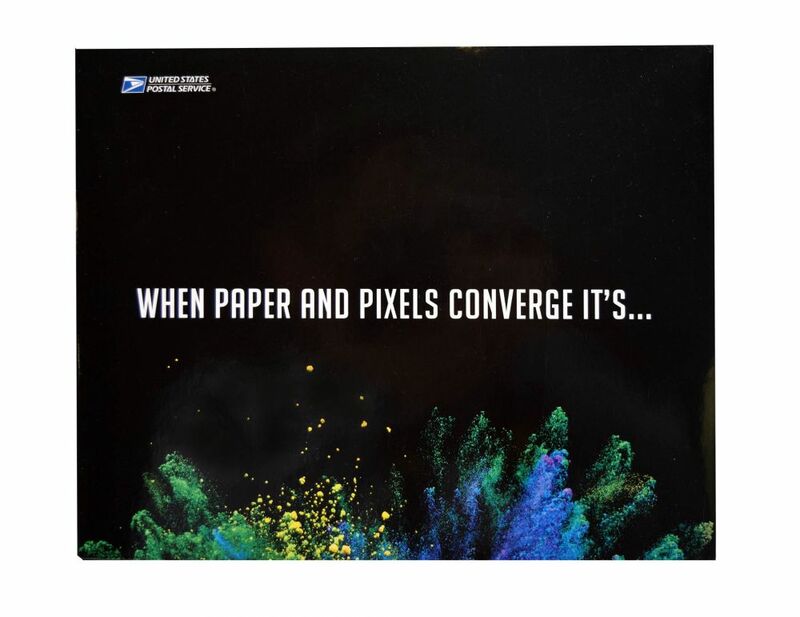 And now, with the advent of digital content, the USPS team knew they had to spark interest in new advancements and innovations in print that are designed to “Drive mail into the future”. They called this program Irresistible Mail. A key piece of the Irresistible Mail promotion was the new microsite, irresistiblemail.com. The USPS team wanted a direct mail piece that would not only spark interest and drive traffic to their site, but showcase exactly what is “irresistible mail”. 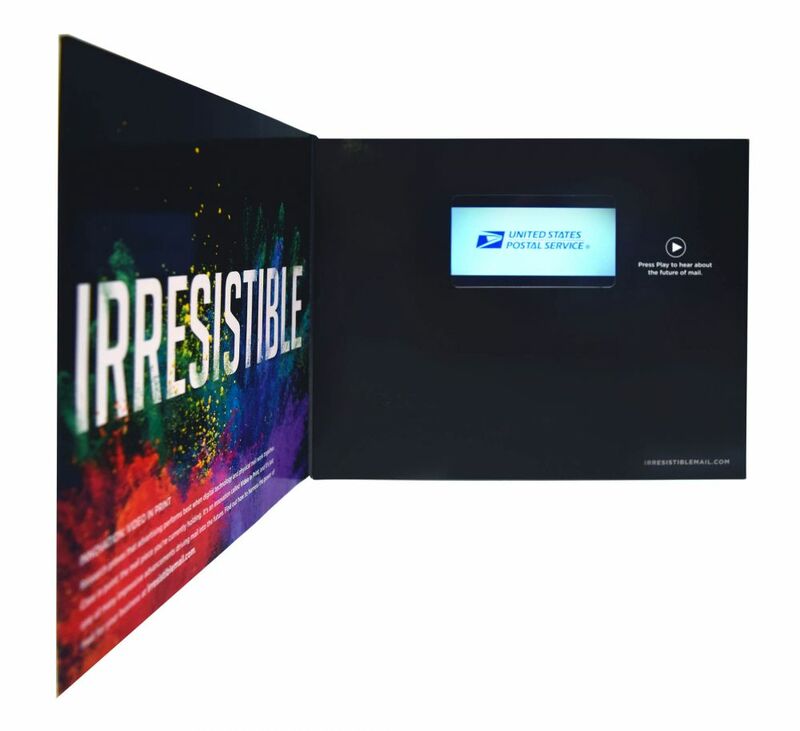 Knowing that their direct mail piece had to represent the true essence of their new program, the USPS team worked with Americhip to produce a direct mail piece utilizing Americhip’s flagship technology, Video in Print™. Video in Print™ was definitely an innovation that USPS had to take advantage of for their campaign. The slim and sleek brochure was made of eye-catching high-gloss paper which opened up to a 4.3” VIP screen and play button. The video content told the poignant story of personal moments we have when we interact with our mail and how new innovations and technology can help connect the sender and receiver. Video in Print™ was the perfect way to promote their new program and now with Video in Print™ on their roster for Irresistible Mail, the USPS team has a true technology partner to help them understand the evolution of technology in print, creating a “whole new medium for a whole new generation”. Connect with your target audience on a whole new level with Video in Print™. Video in Print™ technology is undeniably a great way to create "irresistible mail".